You may drive a present-day, sophisticated automobile or one from the decades gone by, but if it gets involved in a collision, an expert collision repair shop is needed to return it to its pre-accident condition. 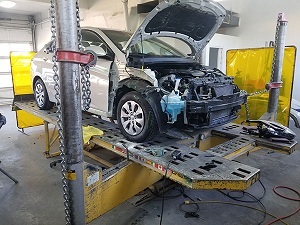 City Center Collision Services is the collision repair shop to come to for precise and hassle-free auto collision repair services. The auto collision repair technicians at our collision repair shop understand that you and your family depend a lot on your vehicle. 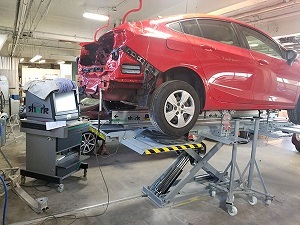 Therefore, they are extremely careful with the auto collision repair they conduct. Our collision repair shop can repair vehicles of any make or model. From small uni-body automobiles to big full frame vehicles, our auto collision repair professionals can fix them all. 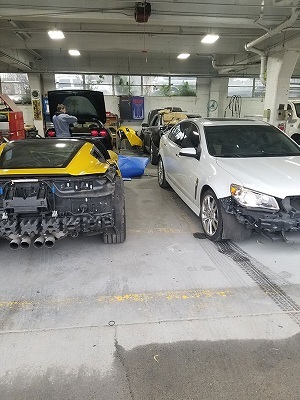 At our collision repair shop, we take pride in our capability of performing high quality auto collision repair that makes even the most severely banged up vehicle look and run as good as new. Dedication to quality is not limited to auto collision repair, but also extends to our customer service. Our commitment toward you does not end when you drive your repaired vehicle out of our collision repair shop. We sincerely want you to enjoy maximum driving efficiency and pleasure from the vehicle for as long as you own it and this shows in our priority of customer satisfaction. Why Choose Us for as Your Collision Repair Shop? When it comes to choosing a collision repair shop, customers have a wide choice. Protecting and maintaining your investment is your goal, just as it is ours. Our collision repair shop has tried to build a solid customer base by raising the bar in the quality of auto collision repair, competitive pricing, and overall customer experience. Our collision repair shop is happy to work with any and all insurance companies.We gladly handle your insurance claims and estimates to make your auto collision repair less of a headache. Make City Center Collision Services the collision repair shop of choice for all your auto collision repair needs. Call 253-948-4655.